The 2014-2015 production season has been slated as the year for UW Theatre & Dance to host the Eminent Artist-in-Residence, which is funded by the Excellence in Higher Education Endowment through the Wyoming State Legislature. First awarded in 2008, the residency rotates annually among UW’s departments of Art, Music, and Theatre & Dance. The Eminent Artist residency is a real boon for both our programs and the State at large, as it offers unparalleled opportunities for performing arts students to learn from and work with celebrated industry professionals, and it provides learning and performance opportunities for communities both locally and statewide that otherwise would not be available. For 2014-2015, UW Theatre & Dance is hosting members of the celebrated Actors From The London Stage as our Eminent-Artists-in-Residence during the spring 2015 semester to set three works on our students in the AFTLS style, which features minimal props, costumes, and set and clever staging that showcases the talents of each unique five-member ensemble while keeping the focus where it belongs — on Shakespeare's words. We kicked off the project early last November, with auditions for the three plays being produced, A MIDSUMMER NIGHT'S DREAM, directed by Roger May, MUCH ADO ABOUT NOTHING, directed by Paul O'Mahony, and MERCHANT OF VENICE, directed by Alinka "Anna" Wright. The auditions occurred during the run of THE LIAR, with several students auditioning in between dress rehearsals and performances, but they were glad to do so to have the chance to learn to play multiple, disparate roles within the same play and to work with the AFTLS directors. Five lucky performers were selected for each cast -- 15 students in total -- and set about learning their lines and getting off script over the holidays. Rehearsals began in earnest in mid-January, before school was back in session, and are still continuing. Roger, Paul, and Anna are also teaching classes and workshops for our students for the first half of the semester. ROGER MAY directs A MIDSUMMER'S NIGHT DREAM. Roger's professional profile is available at http://diamondmanagement.co.uk/index.php/artists/bio/roger_may. Roger trained at the Bristol Old Vic Theatre School and has been a professional actor on stage and screen (and microphone) for over twenty years. Theatre includes: Catesby in Richard III and Decius Brutus in Julius Caesar (Royal Shakespeare Company); Hamlet in Hamlet (Wimbledon, London); Desmond in The Winslow Boy (Rose Theatre, Kingston, and national tour); Monsignor Magee in The Last Confession (Chichester and Theatre Royal, Haymarket); Elyot in Private Lives; Sir Andrew Aguecheek in Twelfth Night (Nuffield Theatre, Southampton); The Father in The Railway Children (Waterloo Station, London); Bertram in All’s Well That Ends Well (AFTLS). Film and TV includes: Hornblower; Mosley; An Ideal Husband; The Tichborne Claimant; Doctors (semi-regular); The Hour; Shackleton; The Cazalet Chronicles; Jeremiah. Roger has recorded over 100 plays and short stories for radio, as well as numerous audiobooks, including The Day of the Triffids, Death on the Nile and Frankenstein. 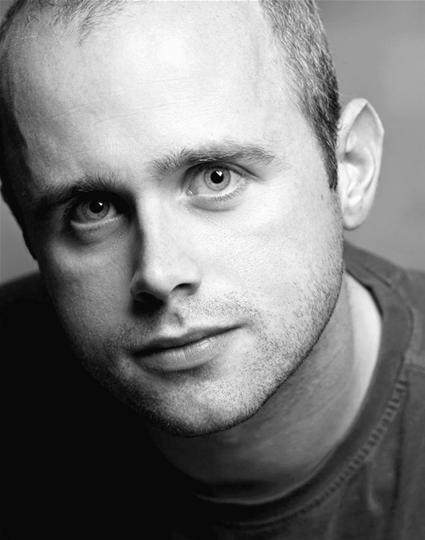 He is a regular on the radio drama The Archers, playing James Bellamy. Paul is delighted to join Actors from the London Stage for the second time, having previously appeared in A Midsummer Night's Dream (Fall 2010). Theatre credits include Mary Broome, The Seven Year Twitch, Factors Unforeseen, Sing to Me Through Open Windows, Vaclav Havel season, Nan, Playgoers and The Twelve Pound Look (all at The Orange Tree Theatre); Othello (RSC); The Taming of the Shrew (Plymouth Theatre Royal); The Suppliants (Battersea Arts Centre); Ice (English Touring Opera); Next Door (Out of Balanz). He is co-Artistic Director of Temple Theatre with whom he created UNMYTHABLE which won the Three Weeks Editors' Award in Edinburgh 2012 and has toured to more than 75 theatres across the UK, Europe and New Zealand. With Temple he also devised Out of Chaos which in 2008 won Bilbao's ACT Festival and the 100˚ Festival in Berlin. Their latest show, Norsesome, premiered at the Midland Arts Centre this summer, and will be touring the UK next spring. In 2011 he translated and adapted three Greek tragedies to create The House of Atreus which was produced at the Barbican. He is Associate Producer at Jermyn Street Theatre where his credits include All That Fall, St John's Night and Mother Adam. Paul studied Classics at Oxford University where he was awarded a Cawkwell Scholarship, two Cawkwell Prizes for Classics and an Ancient History Scholarship. 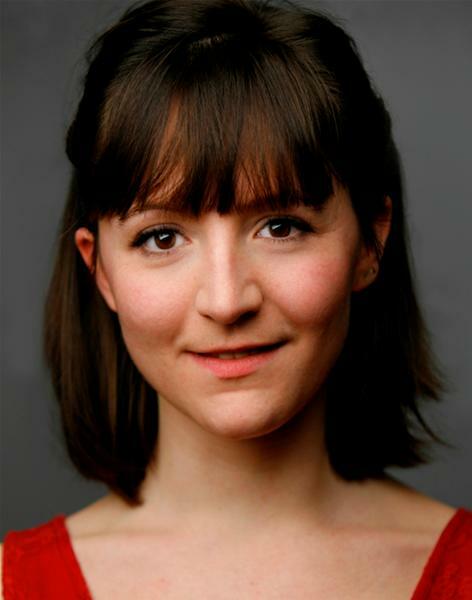 Anna started acting professionally at the age of 14, through working with Stage 2 Youth Theatre, Birmingham. She later trained classically at The Drama Centre London, and has appeared in numerous stage and radio productions, including BBC 4 Radio Drama, a long term regular character on BBC Asian Network's 'Silverstreet', The Old Vic Theatre, The New Player's Theatre, and Shakespeare productions across the USA with both 'Aquila' and 'Actors From The London Stage (AFTLS). She is an associate director of AFTLS. UW Theatre & Dance is proud to host members of the celebrated Actors From The London Stage (AFTLS) in residence during spring 2015 to set three works on our students in the AFTLS style, which will be presented in rotation over six nights. Titles include A MIDSUMMER NIGHT'S DREAM (Mar 1, Mar 4), MUCH ADO ABOUT NOTHING (Mar 2, Mar 5), and MERCHANT OF VENICE (Mar 3, Mar 6). Get tickets to THE SHAKESPEARE PROJECT!